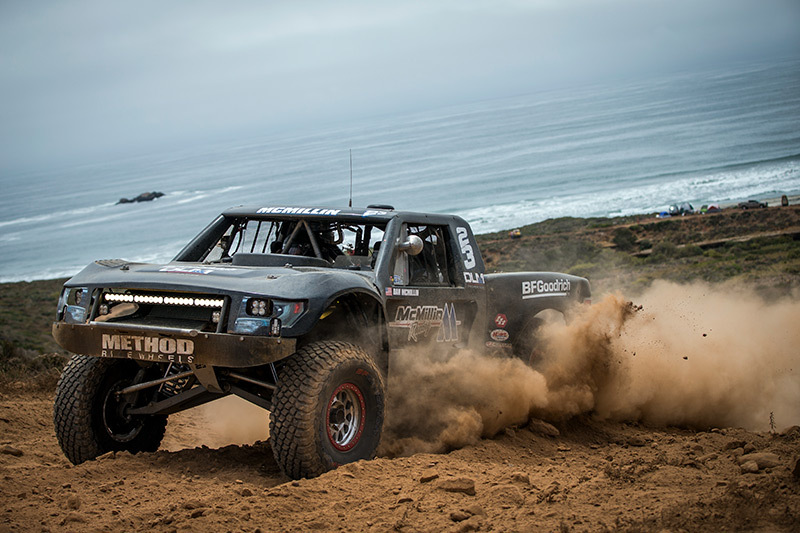 McMillin Racing brought both Trophy Trucks home at a brutally tough SCORE Baja 500 race in Ensenada, Baja Mexico. 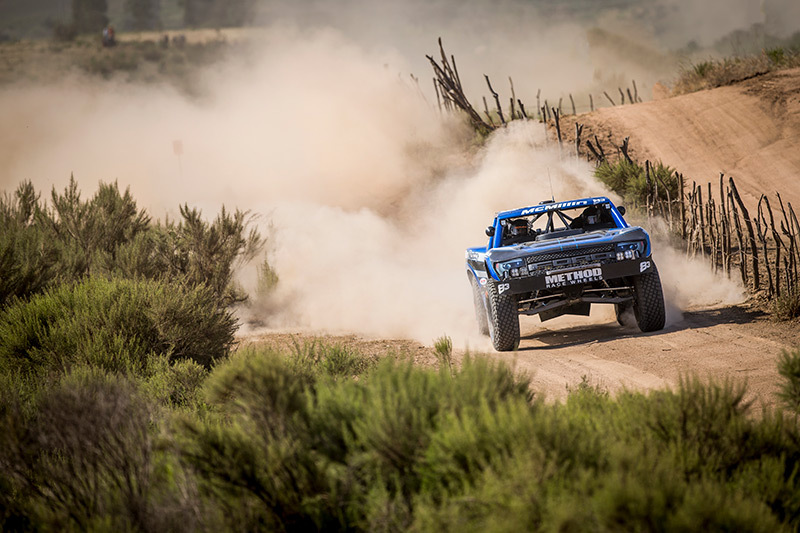 SCORE designed a diabolical course for the 49th running of the Baja 500 that never let up on competitors for its entire 513.67 mile length. After heading out of Ensenada, the course climbed and dropped along the Pacific Coast on its way to Colonet. This section was technical and covered in silt. Many cars and trucks got stuck in the powdery dirt or slid off the course scratching for traction. Luke and Dan had to avoid stuck vehicles and navigate through the thick dust. After turning east, the course went up and over the summit. Make a mistake on these tight, rocky mountain roads and it could spell disaster. After making its way to the other side of the peninsula, they still had miles of punishing whoops through San Felipe. With miles of punishing terrain and hours of racing behind them, they raced into the fading sun on their way back to the finish line in Ensenada. Dan McMillin had a good run as well in the McMillin Racing Trophy Truck #23. “Josh and I started 20th and had a clean run all the way to Mike’s road,” said Dan, “We were 30 seconds behind Luke, and running in the 12th physical position on the road. At around race mile 240, we were about 30 seconds behind Rob MacCachren when we suffered a flat front right which normally isn’t a big deal. The pin holding the jack wouldn’t budge and it cost us an additional 10-15 minutes to change the tire because we had to use the secondary bottle jack. About 4 or 5 trucks got by us while we struggled with the jack. We got going again and were running good all the way out of the desert and back up towards the goat trail. In the San Matias wash, we hit a boulder and broke a wheel. Only able to use the small bottle jack, it took us longer than we wanted again. At K77, Cameron Parrish got in for Josh Burrows who was feeling bad from the desert heat. Thankfully, he would eventually be fine. Before Ojos, we hit a cow. That was about the most exciting part of our 80 miles together! 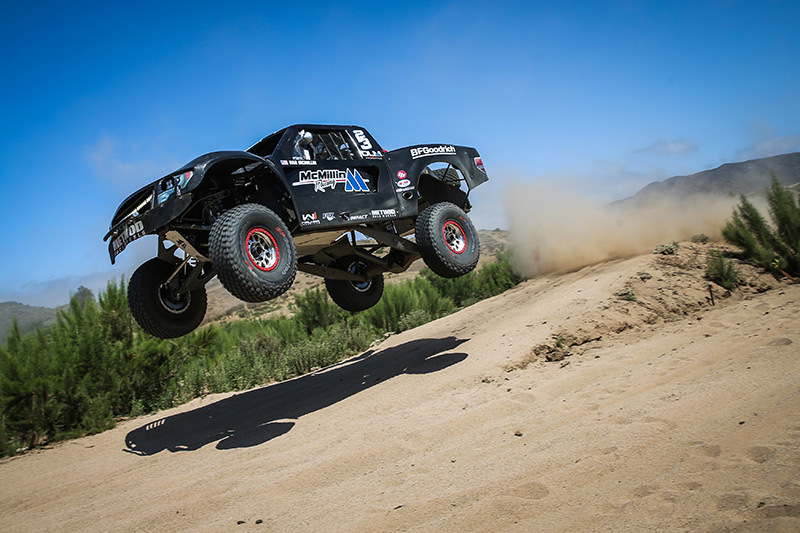 McMillin Racing survived a brutal course that took out 11 Trophy Trucks who failed to make it back to Ensenada. 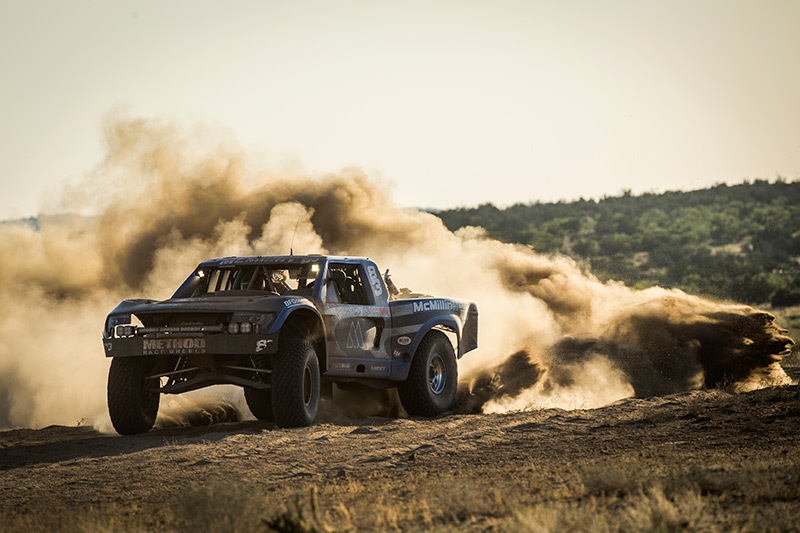 Luke and Dan both had strong trucks at the Baja 500 which they will need for the Baja 1000 in November.